You're on mostly original stuff then Eibach springs and Bilstein B4s all round will make it feel like a new car in comparison. Or you can go the whole hog and fit BC or KW coilovers, which I intend to in the near future for my olive T-5R. Our Gul on the other hand is running Koni FSD's and Eibach springs and is fine, not that many seem to recommend this set up though. There are plenty of choices out there, but reading between the lines is, you get what you pay for, cheap coilover set ups aren't going to be as good as BC's or the KW's of this world, but then over a 20+years old suspension setup, anything could be a massive improvement in the handling department. B6s and eibach / H&R works brilliantly. 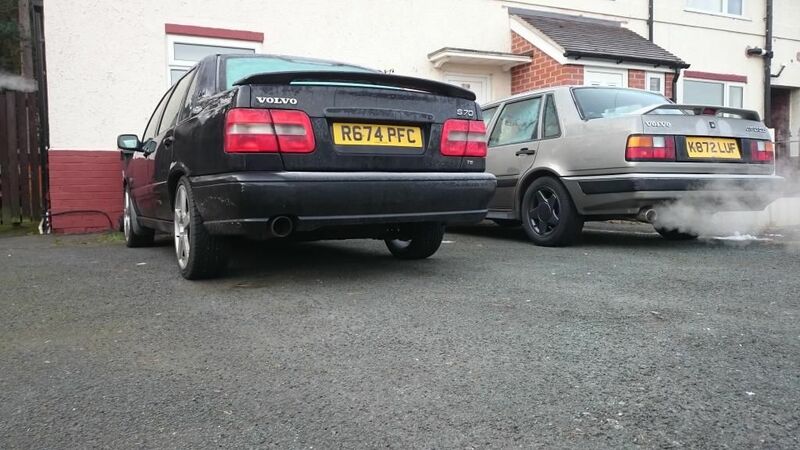 B4’s are are fine for a daily but rubbish for anything sporty as really just std replacements.